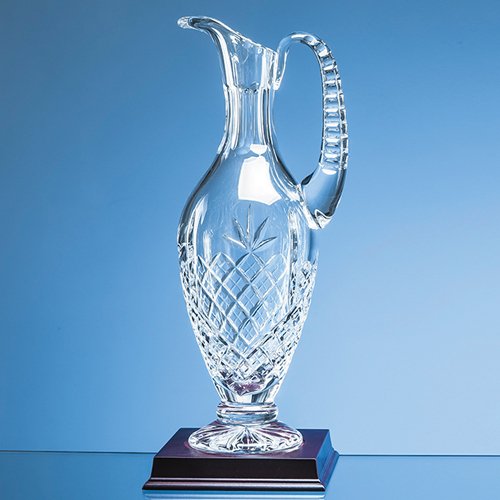 A beautiful, classically designed cut lead crystal claret jug. This version is 36cm high, has an elegantly proportioned neck, traditional diamond and wedge pattern and incorporates an engraving panel with space to include a logo, club crest, wording or message. There are three different sizes - 28cm, 31.5cm and 36cm (shown) - so it is perfect to use for a 1st, 2nd or 3rd prize, for a company award or as a club championship trophy.